Did you know that one of the biggest archaeological digs in the UK is taking place in Birmingham? 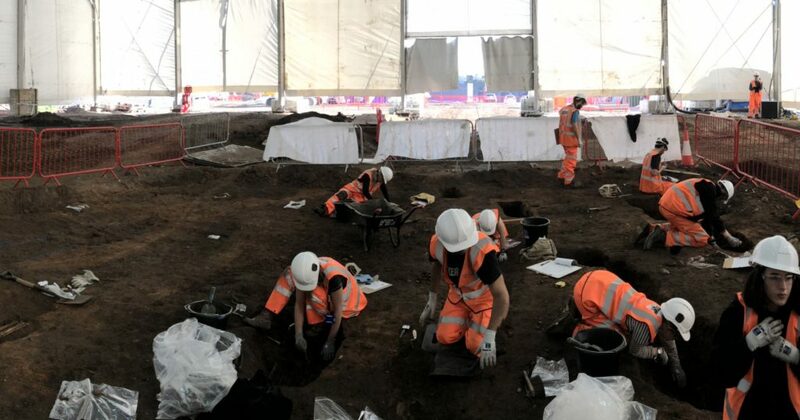 As part of the preparations for HS2’s phase one, an archaeological team from MOLA Headland is excavating the Park Street burial ground, close to the city centre. We’re thrilled to be taking part in a family event at the Coffin Works on 24th April to share the new information we’ve been discovering about life and death in Birmingham during the 19th century. There will be archaeologists on hand to answer your questions about the work we’re doing at Park Street and children can take part in a miniature replica archaeological dig, and learn more about the human body from our experts. There will also be chance to handle some of the artefacts found at Park Street.